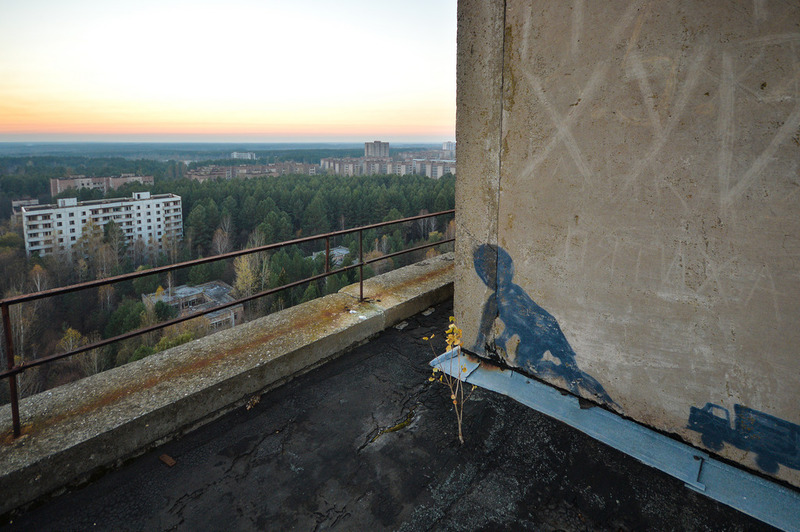 Pripyat is a ghost town in northern Ukraine, near the border with Belarus. 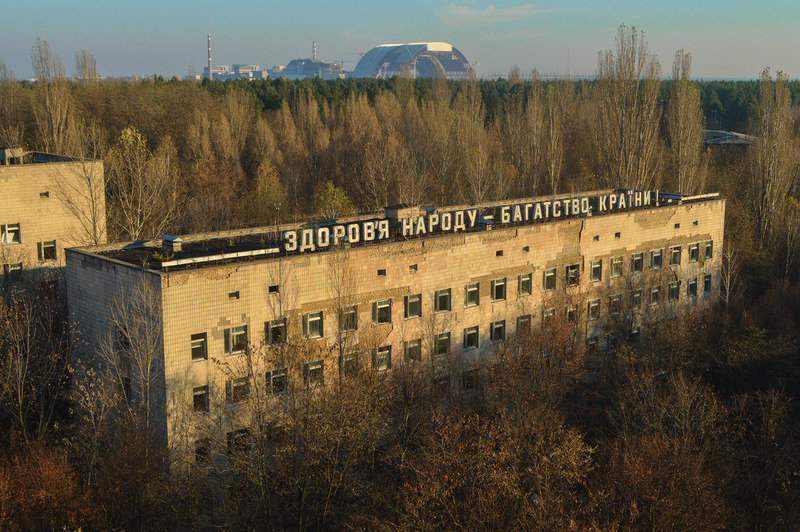 Named after the nearby Pripyat River, Pripyat was founded on 4 February 1970, the ninth nuclear city in the Soviet Union, for the Chernobyl Nuclear Power Plant. 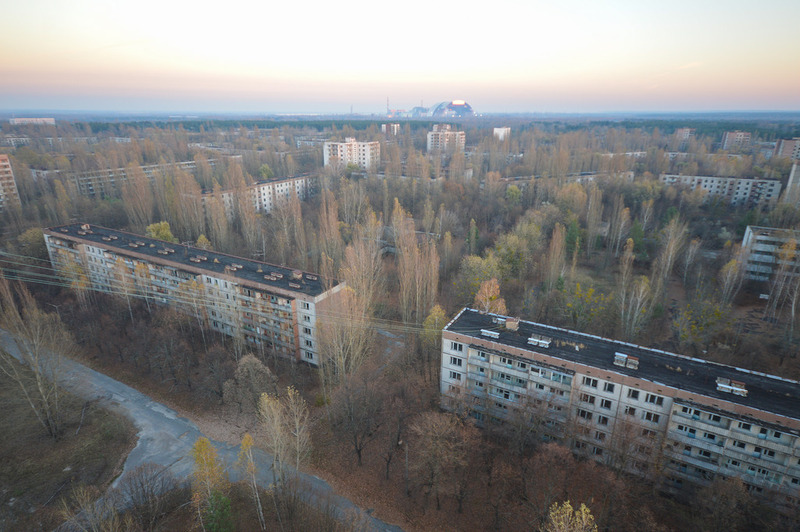 It was officially proclaimed a city in 1979, and had grown to a population of 49,360 before being evacuated a few days after the 26 April 1986 Chernobyl disaster. 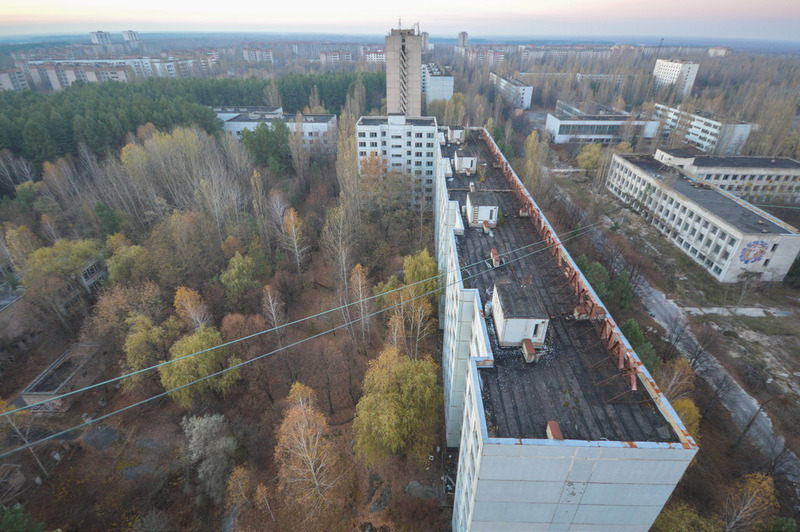 Though Pripyat is located within the administrative district of Ivankiv Raion, the abandoned city now has a special status within the larger Kiev Oblast (province), being administered directly from Kiev. 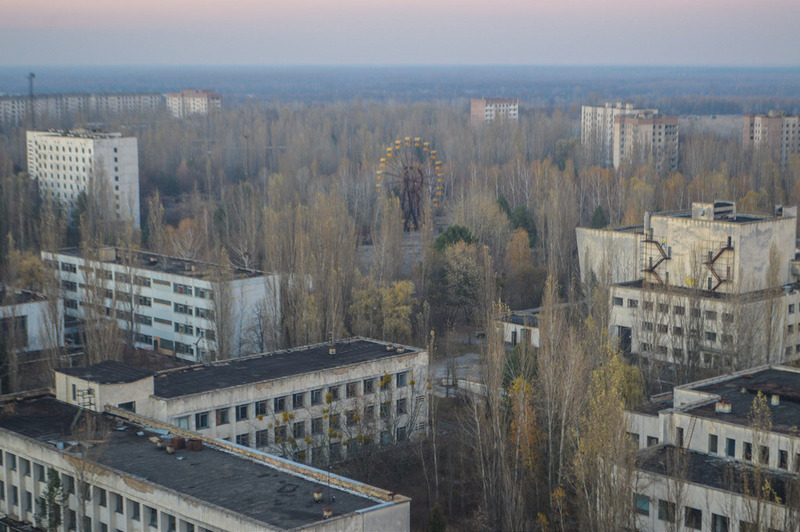 Pripyat is also supervised by Ukraine's Ministry of Emergencies, which manages activities for the entire Chernobyl Exclusion Zone. 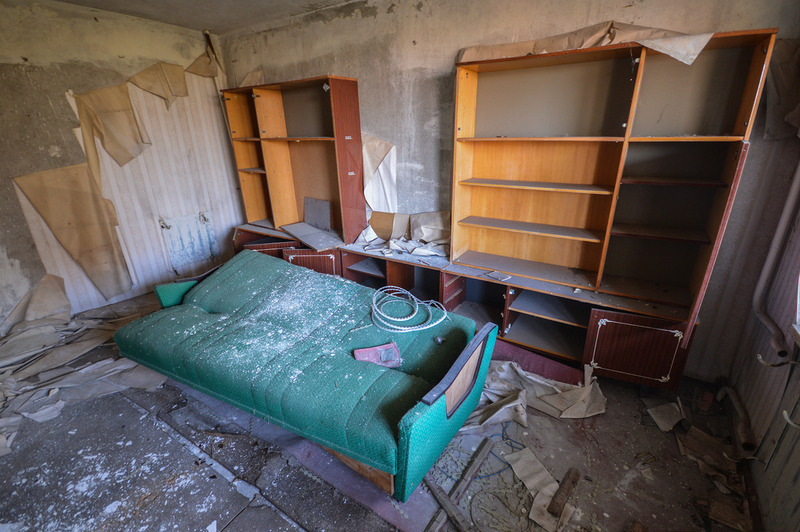 We took a look around in some of the apartment blocks, there were some random bits of furniture here and there but mostly empty flats rotting away. 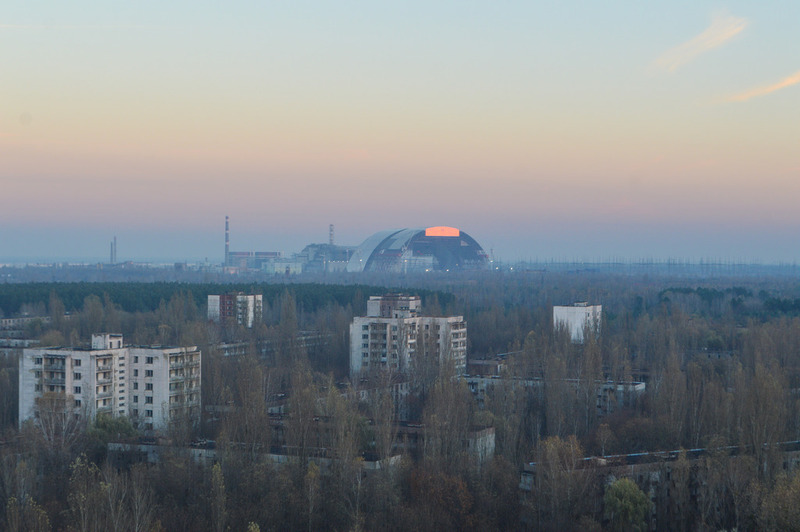 The real highlight was the view from the rooftops overlooking the silent town of Pripyat with the Chernobyl power plant in the background. 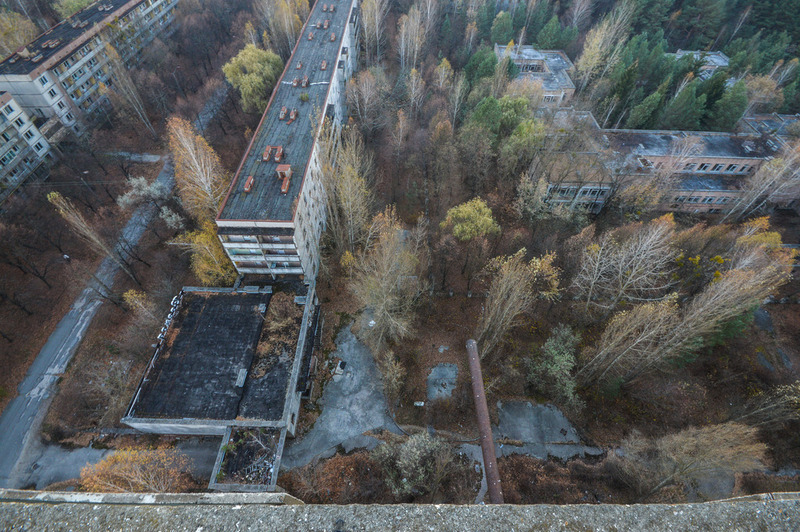 It's a spectacle that you will never forget, a town once home to 50,000 people now overgrown with trees and nothing but the whistling of the wind to break the silence. Well, with the exception of us burping, farting, laughing and swearing for three days. Perhaps not breaking any new ground with this report but thought I'd share one of my favourite bits of my trip, will get a report on reactors 5 & 6 up when I get a few minutes. Took these pictures from two different rooftops. 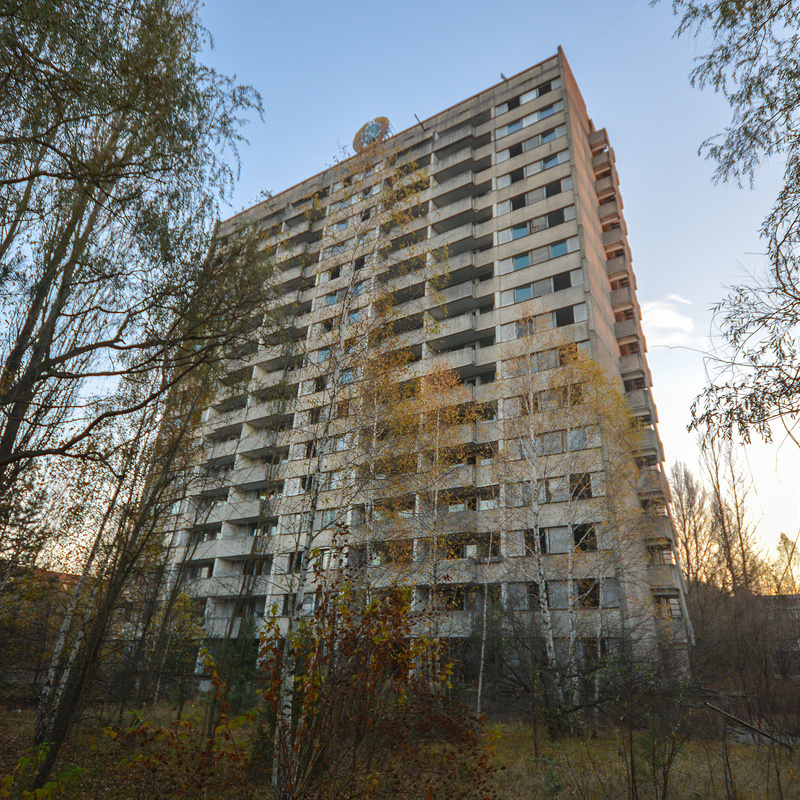 One of the tallest buildings in Pripyat, it was from here that people watched the multicoloured plume of burning blue, yellow and green fire from the reactor light up the night sky, unaware they were receiving a potentially lethal dose of radiation. 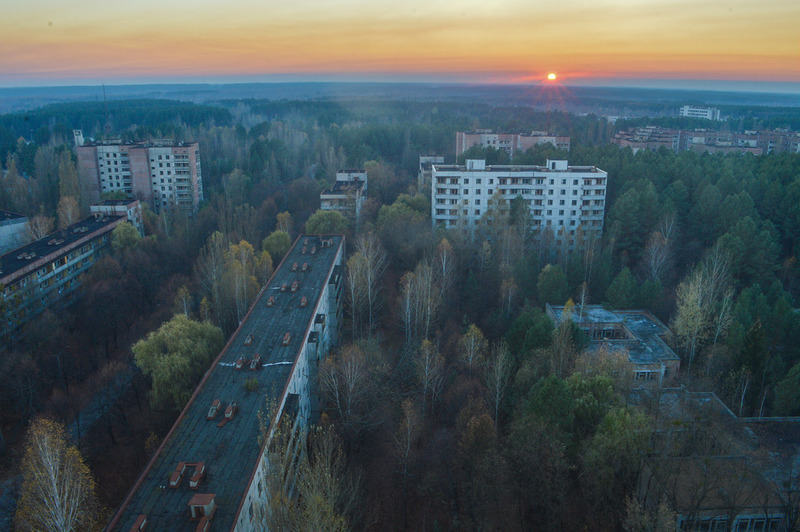 Throughout Eastern Europe symbols of the Soviet Union have been torn down, but in Pripyat, where the year is still 1986, the wreathed hammer, sickle and star of the USSR still adorns buildings (on the left of the shot). I've always wondered if the Ferris Wheel was in use when it all kicked off ? Stunning shots and that one under the sunset really is beautiful. 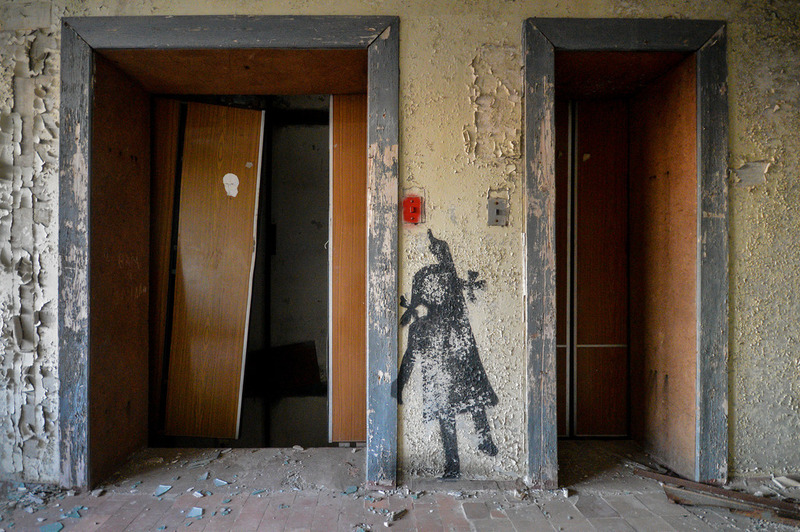 Somewhere I really would love to visit one day but in the meantime I'll have to content myself with shots like these. Decent shots here dude, looks like you guys had as much of a blast as we did! D you big tourist! 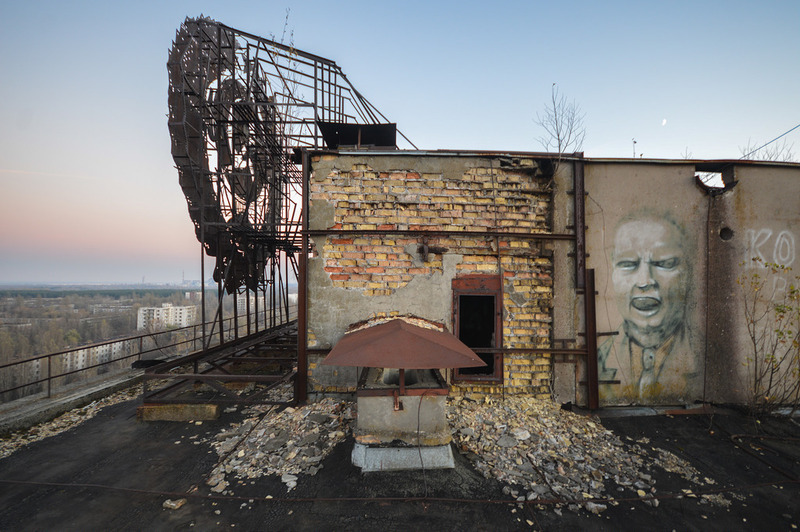 : nice to see some rooftop shots. 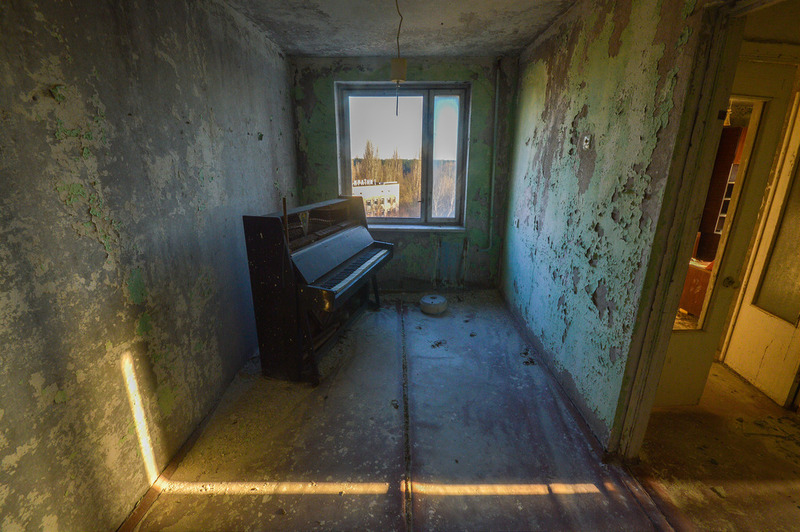 Looks like you got some great light in those shots. 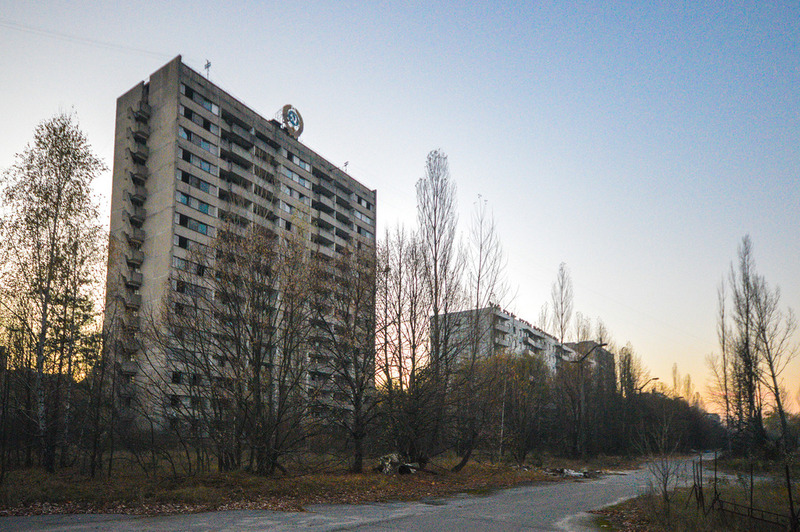 I have spent 8 or 9 days in Prypyat overall now and still feel there are some bits left unseen by my eyes. Really good pal! I guess there are hoards of explorers waiting to see this beauty, but I totally understand why.